Found this in my feeds this week from Portable Apps, I have downloaded it for a play later, and was really intrigued by the visuals on the home site. 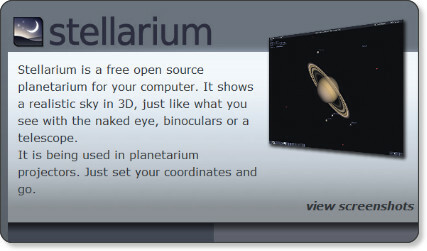 Available as a portableapp this open source application, may hold some intriguing possibilities for home school learning, and anyone running windows xp on portable platforms. I am avidly watching the space labelled Linux at portable apps to see firstly what applications become available, and then whether or not they can be run on the Asus ee, from flash drive through the Linux distribution installed. Still a newbie to this.